Occupying a fifth of the country, Lake Malawi is the third largest lake in Africa and home to more fish species than any other lake in the world. Also known as Lake Nyasa, it is often referred to as 'the calendar lake' because it is 365 miles (590km) long and 52 miles (85km) wide. Situated between Malawi, Mozambique and Tanzania, this African Great Lake is about 40,000 years old, a product of the Great Rift Valley fault line. There are fishing villages to be found along the lake shore where residents catch a range of local fish including chambo, kampango (catfish), lake salmon and tiger fish. The export of fish from the lake contributes significantly to the country's economy, and the delicious chambo, similar to bream, is served in most Malawian eateries. Visitors to Lake Malawi can see colourful mbuna fish in the water, while there are also occasional sightings of crocodiles, hippos, monkeys and African fish eagles along the shore. The nearby Eastern Miombo woodlands are home to African wild dogs. Swimming, snorkelling and diving are popular activities in the tropical waters of the lake, and many visitors also enjoy waterskiing, sailing and fishing. There are many options available for holiday accommodation at the lake, including resorts, guesthouses and caravan or camping parks. All budgets are catered for, with luxury lodges attracting the glamorous and humble campsites hosting families and backpackers. 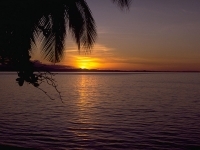 Cape Maclear is a well-developed lakeside town, and nearby Monkey Bay is a great holiday resort area. Club Makokola, near Mangochi, is also a popular resort. We are looking for contributors for our Lake Malawi travel guide. If you are a local, a regular traveller to Lake Malawi or a travel professional with time to contribute and answer occasional forum questions, please contact us.